Today the Law Offices of Michael L Steinberg filed a Motion on what very well may be a case of first impression in the State of Michigan. In 2012, Mike was honored to serve as the Criminal Defense Attys of Michigan’s representative to the State Bar Task Force on Eyewitness Identification. The Task Force was composed of prosecutors, judges, chiefs of police, police policy makers and law professors. Together we promulgated what would be the standards in the administration of photographic, show up and live lineups. Recognizing that false identifications constitute 71% of the wrongful convictions, practices, and procedures were adopted to assure the Due Process protections of the accused. They radically changed how lineups were to be administered and required audio and visual recordings to assure the integrity of the process. Today Michael L Steinberg filed a Motion in Macomb County Circuit Court to challenge the way a photo lineup was done in pending cases. The methods used in the lineup were prior to the charges. Interestingly, the local police agency had enacted a policy very close to the Task Force protocol, yet failed to abide by it. This may be the first case to challenge the old protocol with the new protocol enacted. The goal of the motion is to firmly put into place that the new protocol sets the standard for a constitutionally valid photo lineup under Michigan and federal law. Mike Steinberg has a history of fighting cases of first impression and making law in the State of Michigan. 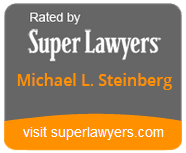 Contact Mike Steinberg anytime you or a loved one are accused of a crime.